Winter is here, and it’s time to mix it up in the mornings with great tasting Fontis coffee products. Here are seven coffee drinks we think will have you begging for a second cup before the first one is finished. Let’s start with the basic cup of coffee … Fontis classic roast! Add your favorite creamer and you are on your way for the day. 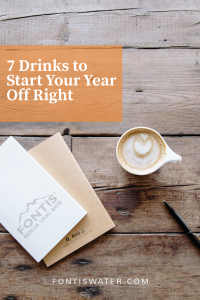 We carry eight brands of coffee, but many of our customers will only drink Fontis Coffee. Why not try it on your next order? Not one for hot coffee, how about a Cold-Brewed Coffee? We found this recipe and love the recommendation of several of the coffee brands we can deliver straight to your home or office! The reviews will have you heading for the kitchen to make a cup, because who doesn’t love a new recipe? Next, let’s talk about a cup of Black Magic Coffee. Hot black coffee mixed with chocolate extract, hazelnut extract and rum extract make this coffee, and who can resist this goodness in the morning? One more for the cold coffee fanatics. Creamy Iced Vanilla Caramel Coffee! Need we say more? This cooled brewed coffee is combined in the blender with milk, nondairy creamer, caramel topping and ice … blend until smooth. An extra tip, serve in glasses just out of the freezer. Pumpkin for many is a must-have all year round so here is a recipe for a quick Pumpkin Spice Latte. And for the weekend, let’s move on to something with a little kick. Mexican Style Coffee sounds incredible and yes, there might be some tequila involved. Enjoy!  And to have the best coffee delivered to your home or office, call Fontis Water at 678-494-1981.